Most of us peel sticky notes from the bottom, but that ends up making the Post-It curl where the adhesive is. So try this Sticky Note Hack: Start at the left of the pad and pull the paper to the right (or vice versa). Voilà! A flat-lying note. Confused? Don't worry; we illustrated it with some of our sticky notes for Jehovah’s Witnesses we had lying around. Most people's first instinct is to grab a Post-it and pull it straight upwards. Unfortunately, this causes the note to curl up towards the top. So, what's the solution? Pull from the side! Instead of grabbing the bottom and pulling up towards the sticky side, grab the side of the Post-it and drag it across the sticky side. When you do it this way, you’re left with a nice, flat note. Still skeptical? See for yourself! Here is a side-by-side comparison of the notes, one of which looks way easier to write on, and won’t fall off your computer screen or refrigerator. 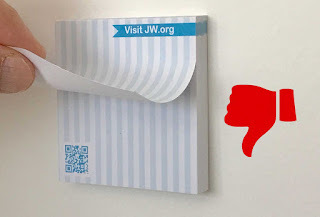 See how the wrong way curls up and off the wall, and the right way just stays flat and smooth? 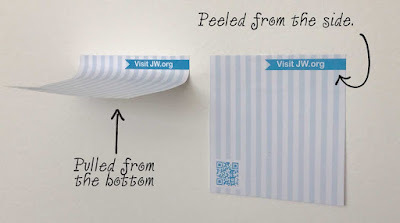 So there you have it: The perfect “Post-It peeling” form. Go ahead and peel your sticky notes as they were meant to be peeled. Be the change you wish to see in the world! And hey! 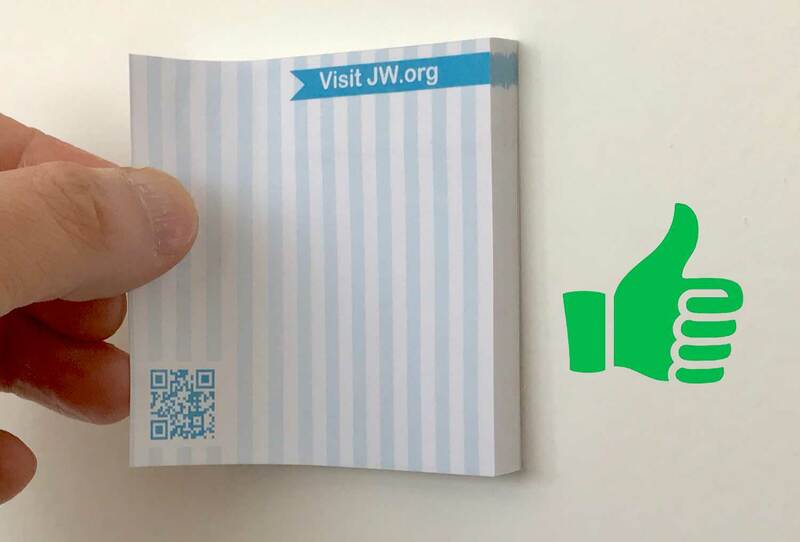 Check out the fancy new JW Sticky Notes available now at Ministry Ideaz. Oh my gosh who would have known there was such finesse?? Who knew? Excellent step-by-step instructions with illustrations! Wow! We've all learnt something new today! Who would have known we had to have a course in how to remove a sticky note from the pad lol!